Looking for eco-friendly paper products? 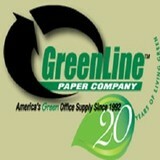 Green Line Papers Inc is a reputed name for green office supplies that offers high quality bagasse products, trash bags, recycled envelopes and various other assorted accessories. 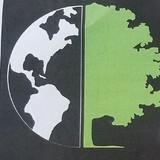 As a reputed and reliable paper company, Green Line Paper Company deals in high quality eco friendly paper products. Whether you need desk pads, recyclable trash bags, recycle paper, recycled containers, recycled dinnerware, recycled envelopes, recycled office paper, recycled paper, recycled paper cups, recycled paper products, recycled paper towels, recycled toilet paper, Skilcraft pencils or Skilcraft pens, you can rely on us. All our products are recyclable and disposable in nature, aimed to promote sustainable work environment.Make you workplace a cleaner, better and greener place to work in. Family owned and operated junk removal company. We remove any type of junk from residential and commercial properties in a safe and Responsible manner. Let’s be honest Harford county residents, we all have that closet, basement, attic or garage space that has become the catch-all for all of our old stuff. How many times have you said to yourself, “I’m going to clean all this up this spring”, but you never get around to it? What is holding you back from cleaning up those areas of your home? Is it will power? Desire? Or lack of the proper equipment to clean out and haul away all your excess junk? 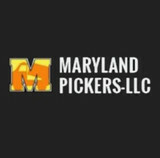 With one call to Maryland Pickers you can have a professional clean up crew do all the dirty work, the heavy lifting, and the hauling away for you, and for a very reasonable price. The professional staff at Maryland Pickers provides residential junk removal for residents throughout Harford County and Baltimore County. We do all the heavy lifting, so you don’t have to! Just point out what you want to get rid of, and we’ll do the rest. We take extreme care to remove whatever you need to have removed, without damaging anything during the removal process. We’ll treat your home as if it were our own. Our residential junk removal services are competitively priced. Our 14′ dump trailer with 6′ high walls is larger than any of our competitors’ trucks or trailers, allowing our customers to get rid of more junk at a fraction of the cost of our competition. We charge by the load or portion of a load, rather than hourly. Call us today at 443-206-1859 for your free quote! Welcome to Cody's Hauling, where we will provide you with all of your junk removal and hauling needs. We have a wide variety of trucks to tailor to your needs. There is no job too big nor too small. Are you dealing with a house full of accumulated junk? Maybe you just have a couple bulky items you just want gone? Either way Cody's Hauling can handle it all. Providing full junk removal service of one item to years worth of accumulated stuff. We specialize in commercial & residential clean-outs, allowing your junk removal process as easy as possible. 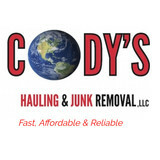 If you're in need of junk removal services, Cody's Hauling and Junk Removal, LLC. can make it a breeze & a thing of the past! 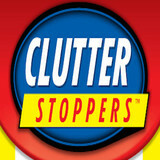 Experience top quality junk removal services, attic, basement, garage cleanouts. At Dan's Hauling Service, we are your solution to removing all of your un-wanted items, furniture, and demolition junk off your property, Dan also offers rollback and transport hauling of anything up to 10,000 pounds with FREE estimates and same day service guaranteed. Floors, windows, kitchens, and bathrooms; we have all your corners covered. Lancaster Residential Cleaning Service provides Professional Home Cleaning for residences that live in and around Lancaster, PA. We pride ourselves on the decision to NOT cut corners when cleaning a home. Details are of the utmost importance in our line of work! From carpets of all thickness, to floors of all textures, we have the Staff, Resources, and Knowledge to Properly and Efficiently clean your home from top to bottom. There are full-service junk removal companies in New Market, PA that help with everything from clutter and hoarding cleanups to appliance recycling to donating unwanted items. Keep in mind that you may need professional help removing certain items from your home, particularly if they’re toxic or unstable. Here are some related professionals and vendors to complement the work of junk removal: Tree Services, Environmental Services & Restoration, General Contractors, Home Builders, Landscape Contractors. Find rubbish removal professionals on Houzz. Narrow your search by city or zip code for a list of New Market, PA rubbish removal services. Get contact information so you can ask about rates, and read customer reviews to find the best rubbish and trash removal service for your home improvement project.